There are various different goals which everyone think of. One should think of only those goals which are achievable. Now, you should first prioritize your goals by its importance and the period to achieve that goal. If its business or finance, if you follow proper process you get great result. Here we will go through some of the important steps involved in personal financial planning process. Following this personal financial planning process will help you to draft and implement your financial plans successfully. There are five important beneficial stages of personal financial planning process. Firstly step guide you towards setting the financial goals and last step in personal financial planning process insist you to review your investment decisions to keep check on your goals. Below listed steps will guide and benefit you towards both personal financial planning process or business financial planning process. Also financial planning diagram shown will help you to better understand the process. Here we will discuss on it. First step towards financial planning process is to set the financial goal. Where you will have to analyze your short-term financial goals and long-term financial goals along with the objective and time-frame to achieve those goals. It’s a long and time consuming process. Your personal goals cannot be set by financial planner. 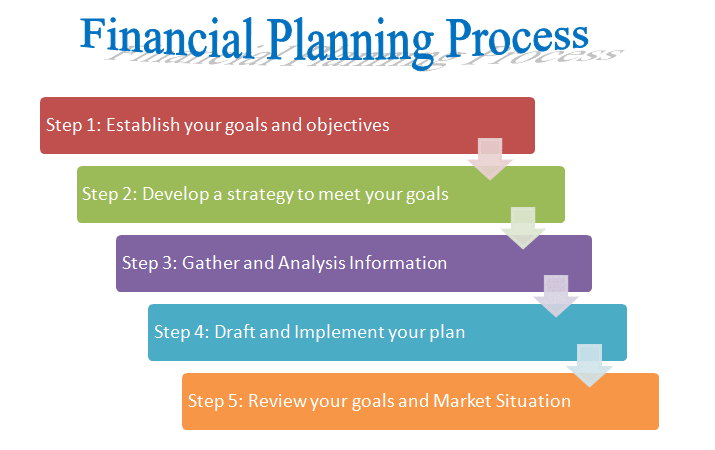 This is the personal financial planning process which you will have to analyze for yourself. Next step towards personal financial planning process is to draft the financial planning strategy or road map to achieve your goals. Here you can take the advice from financial planner or financial consultant to develop a strategy for your financial plan. While developing strategy, you will go through various investment opportunities available in the market. Take some time to study various investment options which best fit to your requirement. Once you have selected set of investment options as per your requirement. Next step is to gather information about those investment and perform some analyze on the data. There are various online tools to analyze investment options based on past historical data. Once you have gathered required information and selected investment option. Next thing in business or personal financial planning process is to prepare a systematic investment plan and draft your implementation plan. This is one of the important step in your financial plan. For example: If a person has a knowledge of investment options and knows which option is good for investment but if he does not have courage to take a risk or implement a plan, then there is no returns on the information gathered. Mainly every investment is selected based on past performance. It is assumed that it will perform in the same way in the future. But there are probabilities when future performance diverge from past performance. So next step in business or personal financial planning process is to keep monitoring your capital investment. Reviewing your goals and market situation will assist you in whether to stay invested or to look after another investment opportunities. Following the internet world, you are aware that speed of computer is equally proportion to the work pressure which means increasing in better and world class computer technologies equally increases your work pressure at your job due to which people prefer to retire in early 40’s or 50’s. Apart from these advances in medical sciences and technologies has increased the life expectancy to 70 or 80 years. Means you have roughly around 30 years of retired life with growing prices and medical expenses. Few decades back this was not considered as high important topic but now a day’s financial planning has become necessity of your life. Planning is a complicated task and potential risk in investment makes it further complex. It’s a high time if you haven’t thought about this earlier; you should start thinking seriously henceforth. 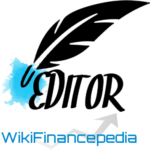 Do you need Financial Advisor or Consultant? If you are new and beginner into investment. It is obvious that it would be hard time for you to understand legal authorities or clauses of your investment documents. In case you are not strong psychologically and find it difficult to calculate risk or develop mitigation plans. If you lack confidence in your financial decisions, It’s better to consult at first place. If you have lack to time to evaluate risk, build strategies, draft investment plans or you are finding hard time to implement your plans. You are just three steps away from your basic personal financial planning process. Basic example of personal financial planning process is very simple, beginners should start implementing it from today itself. First step is be debt free, payoff any outstanding loans at earliest that may be car loan or home loan or any other personal loans. Second step is to start regular savings, Accumulate small amount as a part of savings from your monthly budget. Third step is start systematic investment, once you have some cash buy small piece of gold or buy 1 share of the company or buy 1 lot of government bond. Just start with small investment and check out the returns periodically may be after 6 months or year or 2 years later. This small tiny step toward investing will develop your risk evaluation mindset and will also assist you to draft your financial goals gradually.